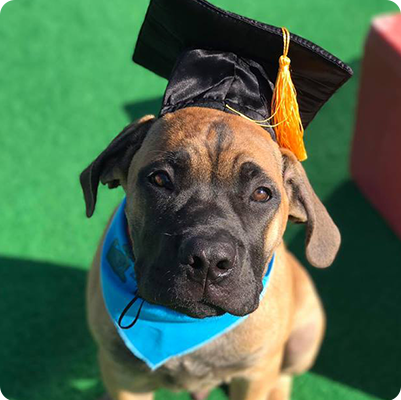 For owners that want to provide a consistent environment during training, Barkefellers University offers dogs the ultimate luxury lodge and learn experience with our Stay School. Training from Barkefellers can make life more enjoyable for you and your pet. What type of training does Barkefellers offer? 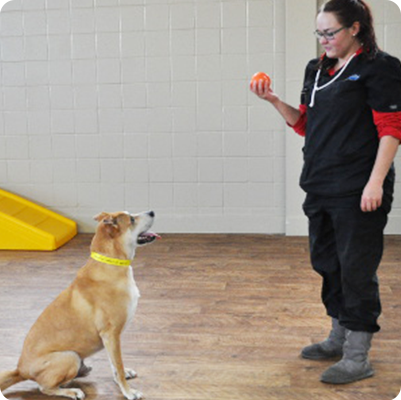 Barkefellers offers basic obedience training with treat-based positive reinforcement. We also have day school and stay school options to help your pup get the best training experience possible. What do I need to bring to a training session? We will need your fur baby to come with a flat collar and regular leash. Please do not bring retractable leashes! What age does my pup need to be? Training can begin at 10 weeks, however group play cannot start until your fur baby is 12 weeks. Are there any restrictions on breeds? No, there are no restrictions on breeds at Barkefellers. Can I bring my puppy food? Yes – we will feed them at snack time which is around noon. Is my dog going to be trained with other dogs? No, every dog receives private training. How many lessons will my pup get in a day? 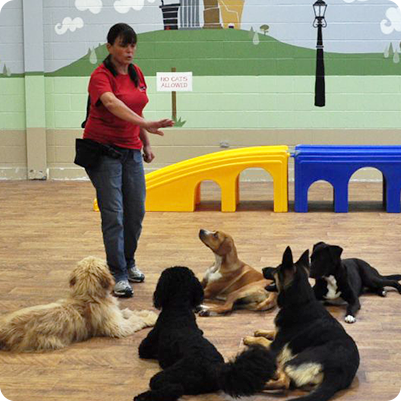 Each dog gets 3 lessons a day with each lesson lasting 15-20 minutes. What is a transition lesson? 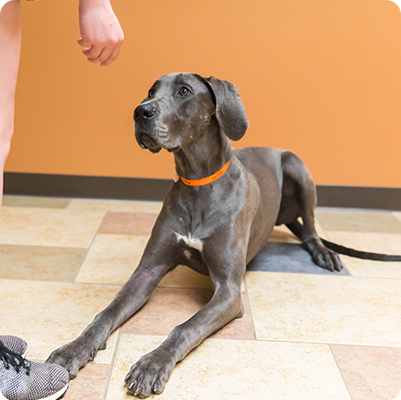 A transition lesson is a 20 minute session where the parents come in and the trainer fills them in on what their fur baby has learned in training. The parents will get homework to work on with their pup. These transition lessons occur at a designated time between Monday and Friday. We will do a temp-test if your pup has not been to Barkefellers before. If they pass, they will get three hours of group play with other dogs! My dog doesn’t play well with other pups. Will they get to do anything else? 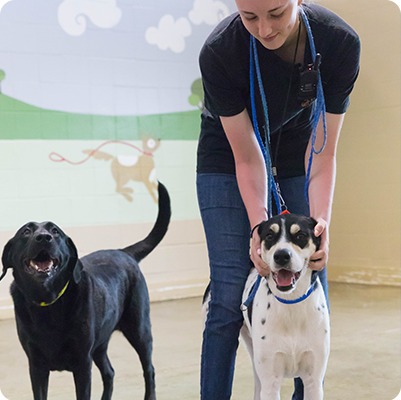 Yes – if your pup is not involved in group play, they will receive 2 private plays with a staff member. Do you put every dog on a prong collar? We use both gentle leaders and easy walks and we will size your dog for either one. Still have questions about pet training?